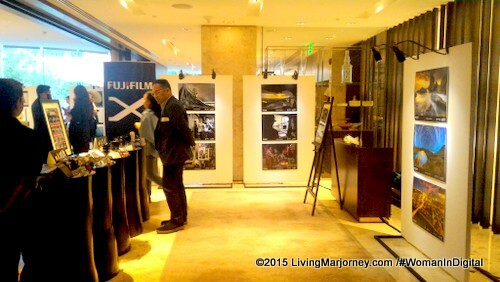 FUJIFILM shared to us the future of photography with their latest products, the mirrorless X series cameras - X100T, X-T10 and X30. Showcasing captured moments by the country's famous photographers, the gathering was held at Glasshouse, New World Hotel in Makati. Known photographers like Rommel Bundialan, Xyza Bacani, Lito Sy, Niko Villegas and Jan Gonzales graced the event and shared their experiences using Fujifilm Mirrorless cameras. 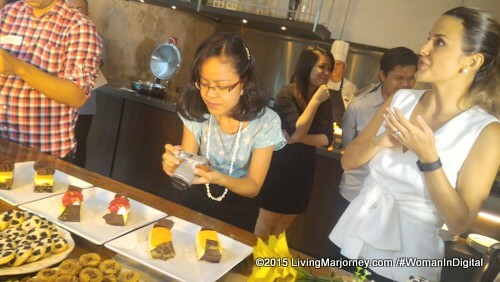 Bianca Araneta-Elizalde who is also an avid fan of cameras hosted the event. Rommel Bundialan highly experienced in both Film and Digital Photography, with specialization in 360 VR Photography and Travel Photography. Xyza Cruz Bacani is a Filipina Street and Documentary Photographer who has been featured in New York Times Lens Blog and various international media publication. 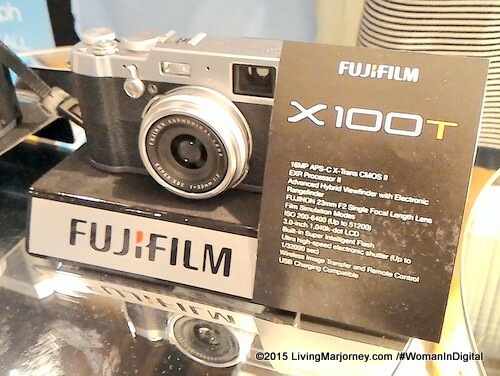 She said she likes the fast, sharpness and color of the Fujifilm x100T. Lito Sy is one of the well-known wedding and portraits photographers in the Philippines. He is the only Filipino to have ever won first-prize in the "Bride and Groom" category of the 2012 WPPI Awards. Niko Villegas shoots for the country's top publications and major advertising campaigns. Jan Gonzales said patience, experiment and experience creates great photos. With Fujifilm Mirrorless camera you get high resolution, color accuracy, and advanced auto-focus technology which is exactly what you’ll get with from bulky and heavy DSLRs. More compact, capable, and user-friendly, these Mirrorless cameras are said to be the future of photography. Lightweight & compact. We can bring it anytime, everywhere. Yours truly tried one of the mirrorless cameras. I like how lightweight and compact it is. I find the FUJIFILM X-A2 promising. 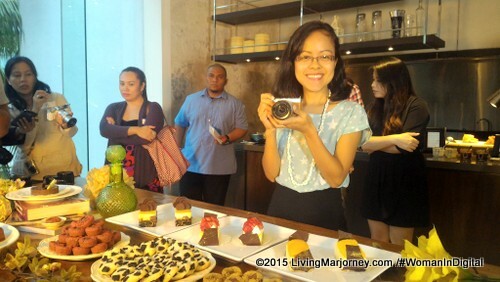 It's great for taking selfies to mouth-watering food photos and picturesque locations. It's a pretty stylish camera with functions like self-portraits, landscapes, macro shots, low-light, or flash photography. I've been thinking about these cameras. In fact, I made "parinig" to my husband. "Beh, I want a Fujifilm Mirrorless Camera, maganda eh!" But he immediately replied, "you already have a camera". Okay, so I am thinking of copying Bianca Araneta Elizalde style, buy cameras of the same colors, that way it wouldn't be too obvious that you got a new one. Thanks Bianca for the tip! What do you think? Bigger isn't always better. 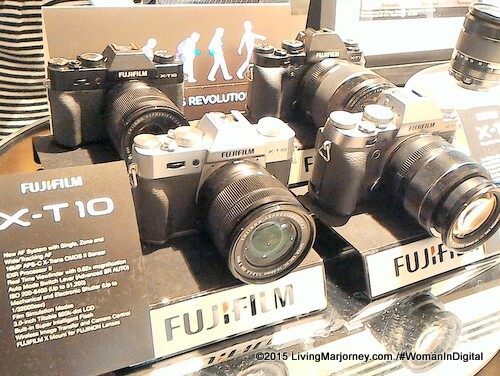 Indeed, Fujifilm will never miss great moments.What do you think of the Fujifilm Mirrorless Cameras? Join the Mirrorless Revolution today. 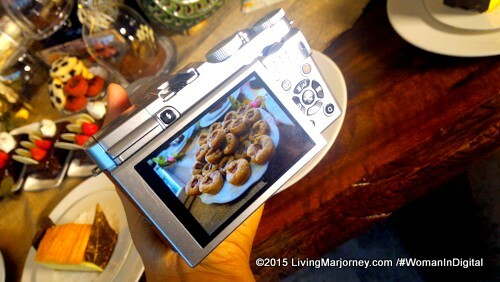 Oh, I am working on convincing my husband to get a Fujifilm Mirrorless Camera. I'm crossing my fingers.